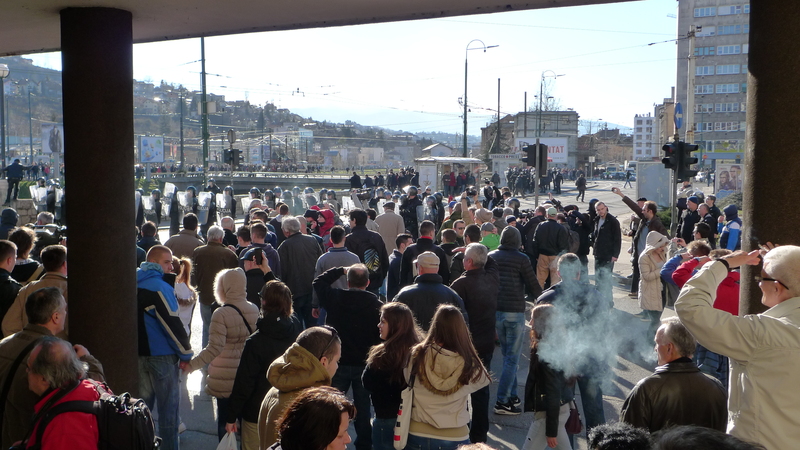 When I returned to Sarajevo three weeks ago, after two years away, very little seemed to have changed, and I was struck by a dominant feeling of disenchantment, which became more clear when I asked people about the Bebolucija. Nobody wasted much time on their replies, merely expressing their disappointment. Thus, when, last Wednesday, 5 February, a friend in Tuzla posted on Facebook a few pictures she took of a protest, it looked just like another protest, as so many that have been staged over the years, of workers who lost their jobs or haven’t received their salaries, or farmers, pensioners, veterans… But this turned out not to be yet another protest, but that one moment when too much becomes too much. 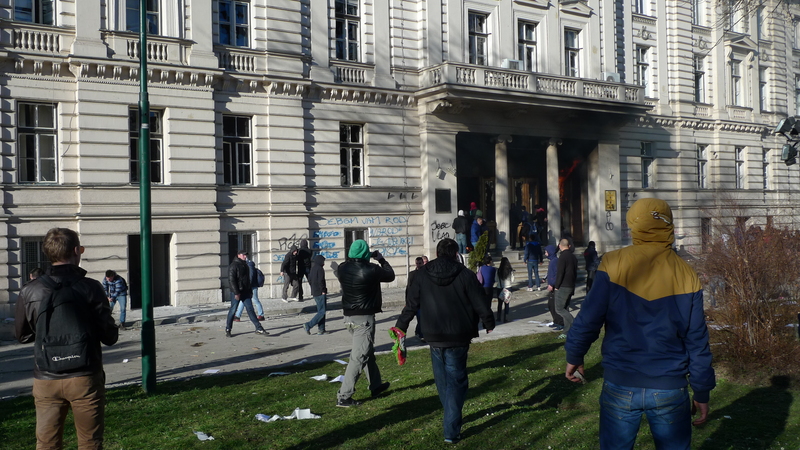 The police charged at the protesters, who were throwing eggs and stones against the building of the government of Tuzla Canton. My friend’s status on Facebook was “ja i moj narod vicemo…. 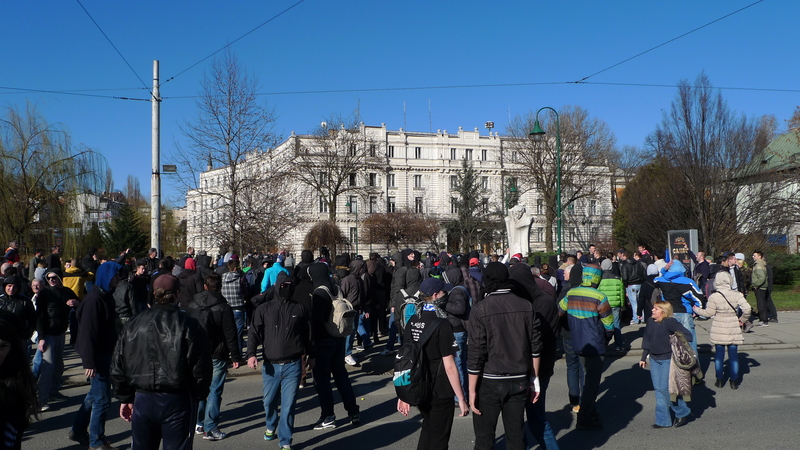 Kijev u TZ” (“I and my people are shouting… Kiev in Tuzla”), translated very well the mood there, and people joined the protests the following days in growing numbers, defiant despite the use of force by the police; arrests; tear gas. 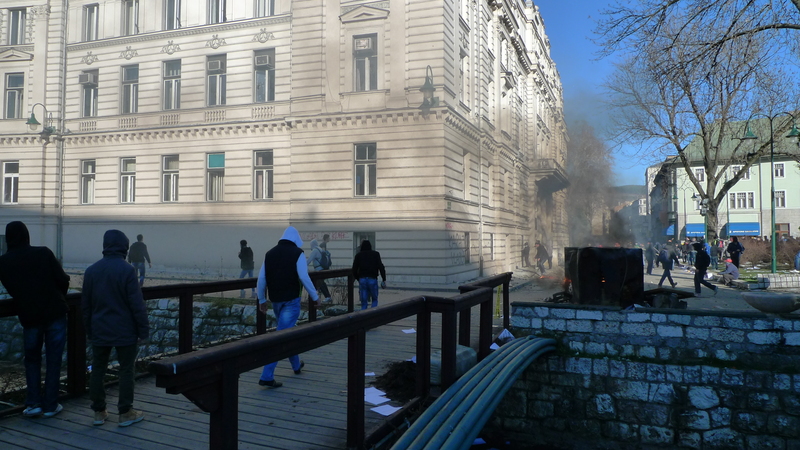 The protests had turned violent, culminating on Friday 7 February in a local government building being set on fire, and prompting the resignation of the Prime-minister of Tuzla Canton.